Whether you hike professionally or just for fun, it goes without saying that comfort is key – especially if you suffer from plantar fasciitis. The condition can be debilitating and is caused when the ligament in the arch of your foot is strained. It’s estimated that at least one in ten people suffers from the ailment which can worsen over time if ignored. Making sure you have the right footwear should, therefore, be a top priority in preventing the condition from affecting you when hiking. 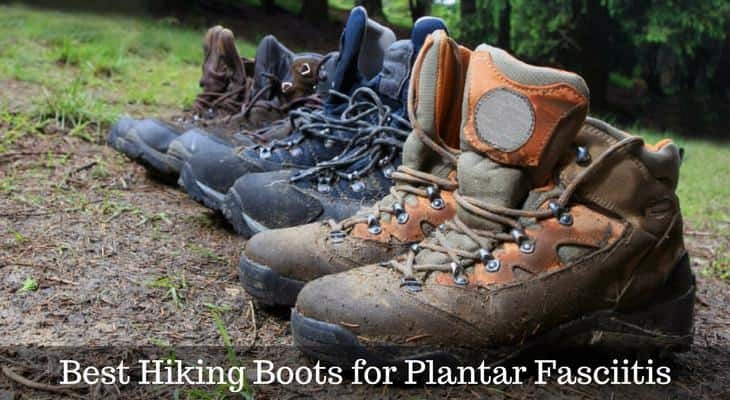 Shoes that provide good cushioning with plenty of foot support are ideal, so to give you some guidance, here’s a roundup of what I believe to be the best hiking boots for plantar fasciitis. These boots are great where comfort is concerned. The shock absorbing, air cushioned heel makes a real difference when hiking for long periods of time, helping to prevent that debilitating heel pain. Another great feature is the wide folding tongue which stops any debris from getting into the shoe; because as you know, there’s nothing worse than continually stopping to shake out your boots on a long walk! This also helps prevent the onset of plantar fasciitis as taking frequent breaks can increase the foot tension causing discomfort when resuming your walk. 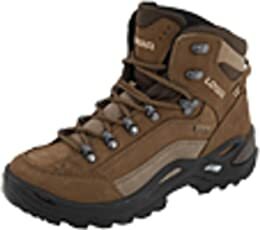 Something else I really noticed about these boots is their excellent breathability. They really do help your feet acclimatize to all kinds of weather conditions making them a solid boot for hiking with plantar fasciitis. 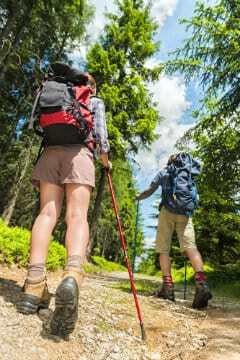 As you’ll probably know, hiking for long distances is something that can prove problematic when you suffer from plantar fasciitis. The Ariat Terrain boots have Advanced Torque Stability (ATS) technology which I believe really helps to overcome this. The technology provides extra support, helping you to maintain your posture when walking. This really is important, especially on lengthy walks as bad posture leads to fatigue which is the last thing you want halfway through a hike. The gel cushioned foot bed also provides great rebound along with the ergonomic forked shank which supports the foot, providing extra stability when on uneven terrains. The slip-resisting Duratread™ outsoles are another great feature, giving the boots enhanced durability. 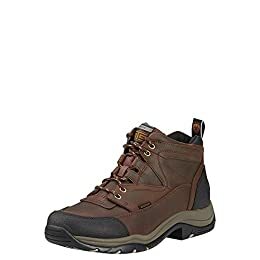 Hiking in adverse weather conditions can be a real killer where comfort is concerned and that’s where I think these boots pass with flying colors. The KEEN DRY waterproof technology provides excellent protection against the most extreme weather, meaning your feet stay dry and comfortable. The boots also score highly on the support front with their Advanced Torque Stability® foot bed technology which keeps your feet secured and cushioned, preventing any unwanted discomfort. The mid cut height ensures that your ankles have optimum support, especially on unruly terrains. 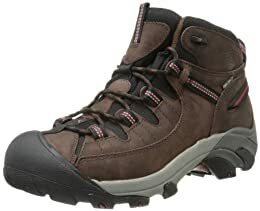 So if you’re partial to hiking on rocky mountains in unpredictable weather, then the KEEN Targhee II could well be the boot for you. 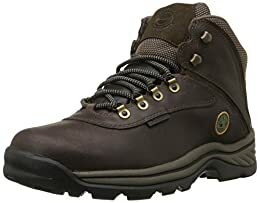 I think Timberlands are great, especially if you want to hit the ground running as, in my experience, they take no time at all to break in, so you can literally un-box them and go! There’s a good amount of padding around the ankles which really helps stop the onset of heel pain when on lengthy or treacherous hikes. As the plantar fascia is situated in the arch of the foot, you’ll really benefit from the EVA foot bed in the mid-sole of the shoe. This feature gives you increased comfort and helps with air circulation ensuring that your feet stay dry on the inside. 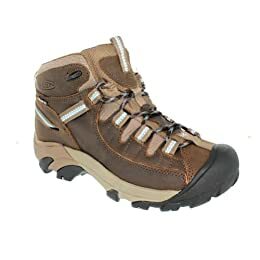 Along with the inner comfort, the shoes have been designed to support the motions of the foot including flexing, propelling, stopping and supporting making them great hiking boots for plantar fasciitis. Falling towards the pricier end of the market, these boots do not disappoint. Benefiting from excellent comfort features including a nylon stabilizing shank and breathable climate control, they really are great hiking shoes for plantar fasciitis. Something I really noticed is how lightweight they are, giving me that nimble, light-footed feel which is great when you suffer from ankle pain. 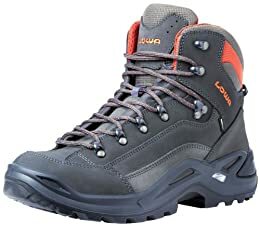 The ankle collar is well cushioned as well which prevents any rubbing or irritation and proves to be a real positive, especially if you regularly find yourself on rugged off-piste tracks. In my opinion, all five models are a safe choice. 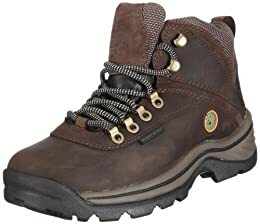 If I had to pick one, though, I’d say that the Ariat Terrain H2Os are the best hiking shoes for plantar fasciitis. This is because they provide a high level of cushioning and really support the foot. 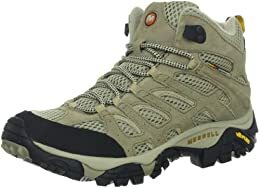 Hiking for long periods of time is something I do a lot and these boots also help with my endurance and prevent that nagging heel pain. Remember though we’re all different and what works for me may not work for you. It’s, therefore, important to take this into account when choosing the right shoes. 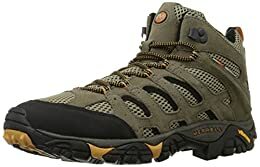 I believe the above are the best hiking boots for plantar fasciitis and that you can’t go too far wrong with any of them. Just make sure you think about the qualities that you require when choosing your own to ensure they really do help prevent plantar fasciitis.